On May 11, I attended one of the Historic Preservation League of Oregon’s (HPLO) Preservation Roundtable workshops. This year’s topic is “Charting a Future for Oregon’s Historic Masonry Buildings: Resilience, Access, and Economics.” The workshop was held in Astoria’s newly rehabilitated historic City Hall and attracted city officials, architects, developers, local property owners, students, educators, consultants, and interested members of the public. John Goodenberger shares Astoria’s architectural history at the roundtable. Breakout sessions analyzed unreinforced masonry’s unique risks from seismic events, seismic upgrade challenges, and the obstacles building owners face when they want to put vacant second floors back into use. Local historian and preservation consultant John Goodenberger took us to visit several historic masonry buildings in downtown Astoria. These site visits helped emphasize for all of us what is truly at stake when we talk about masonry buildings, and what important roles they play in our communities. 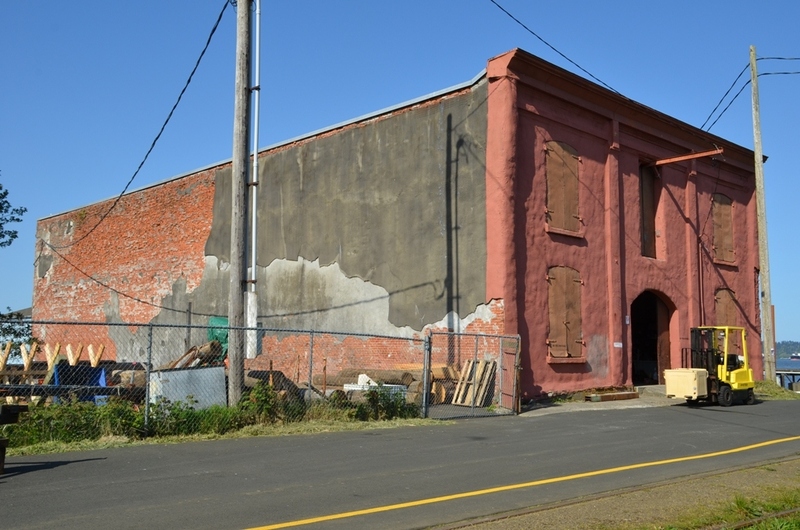 A wrap-up session at the historic Astoria Wharf and Warehouse Company Building on the waterfront resulted in a flurry of practical strategies generated by the breakout groups. HPLO will compile the ideas at the end of the roundtable season in July and publish a recommendation report. The Astoria Wharf and Warehouse Company Building, one of many unreinforced masonry buildings that characterize Astoria’s downtown and waterfront. From the perspective of the Oregon State Historic Preservation Office, I really appreciate these roundtables. More and more, they are attracting folks outside our tradition circle of colleagues, which is critically important. The more we can engage people who don’t necessarily think of themselves as “preservationists,” the more buildings get reused and, ultimately, preserved. Plus, the workshops are very well organized. This is the third year HPLO has conducted the Preservation Roundtable program and they’ve got it down to a science. If you want to check one out a Preservation Roundtable, the next one will be held in Pendleton on June 22nd, then on to Portland after that. All workshops are open to the public, so check out the HPLO website and sign yourself up. Thanks for the great afternoon, HPLO! Chrissy Curran is Oregon’s Associate Deputy State Historic Preservation Officer with the Oregon Parks and Recreation Department.